In the previous episode of The Flash, Barry Allen and Team Flash attempted to stop Cicada indirectly by waking his niece, Grace, from her coma. Unfortunately, Grace’s mind picked up on her uncle’s anti-meta killing spree, and fully supported him. To complicate matters, Nora went into Grace’s mind without backup. Nora did that because she was desperately afraid her parents will discover she is working with Eobard Thawne, the Reverse-Flash. Even after her rescue, Nora hid the truth. However, Sherloque Wells suspected Nora’s secret. 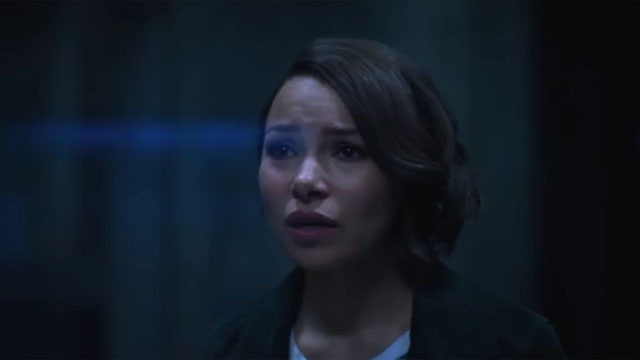 In The Flash season 5 episode 13, Nora consulted with Thawne in the future to find a way to throw Sherloque off of her trail. It’s time for another round of Nora Ruins Everything! 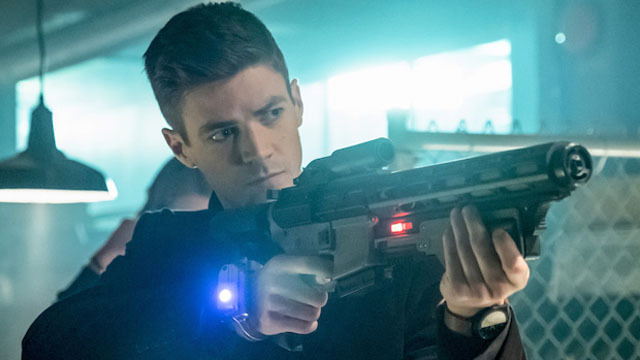 This week, Nora turned her destructive sights on love, thanks to the advice of Thawne. It was Thawne who correctly guessed that love was Sherloque’s weakness. That led Nora to engineer a meeting between the detective and a woman named Renee Adler. Unfortunately, Renee was unnerved when Sherloque’s deductions about her were so accurate. Sherloque accepted the rejection, but Nora just couldn’t let it go. Instead, she reached out to Sherloque’s ex-wives on alternate Earths to get their input. Much to Nora’s surprise, each of the ex-wives were versions of Rene. They verbally tore down Sherloque and demanded their back alimony. Then, almost in spite of her nature, Nora convinced Sherloque to try again with the latest Renee. Once Sherloque proved that he was really a detective, Renee accepted his apology and have him her number. Sherloque soon realized that Renee was a metahuman as well, and he redoubled his efforts to track down Cicada. Ever wonder where Nora gets her self-destructive streak from? Iris demonstrated the answer again this week, as she practically dared Cicada to kill her by tracking him to his home and failing to summon Team Flash. Finding Cicada by asking the right questions took some skill. But getting trapped inside the home with Cicada was a serious screw up. When Cicada inevitably caught Iris, she pretended she was there to interview him about lead in the pipes. Eventually, Cicada realized that Iris was trying to leave with a bag she didn’t have when he caught her. He attacked Iris with his dagger, but she briefly managed to subdue him and taunt him. Unfortunately, by the time Iris’ backup arrived, Cicada was long gone. Again. Barry and Ralph’s plan was somewhat less outrageous than Iris’ caper. To find a key component for their anti-Cicada device, they went to Goldface’s underground black market for weapons and tech. Barry captured too much attention by trying to buy cop killer weapons. Goldface nearly executed the duo until Barry convinced him that he was a master thief known as The Chemist. 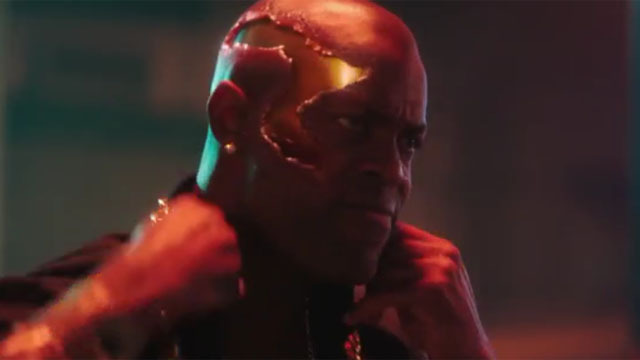 While Goldface kept their powers in check with high tech arm bands, he forcibly recruited Ralph and Barry on a heist to steal a 3D printer that can make transplant organs. Ralph tried to lock Barry away and keep him from getting his hands dirty. But even Ralph couldn’t bring himself to steal the printer once he saw pics of the sick kids who needed the organs. Goldface attempted to have both Ralph and Barry killed, but they managed to turn the tables and took out his men with their own weapons. Goldface proved to be more difficult to fight, due to his internal gold. However, Barry tricked Goldface into electrocuting himself. Later, Barry and Ralph told Iris that their mission came up empty. 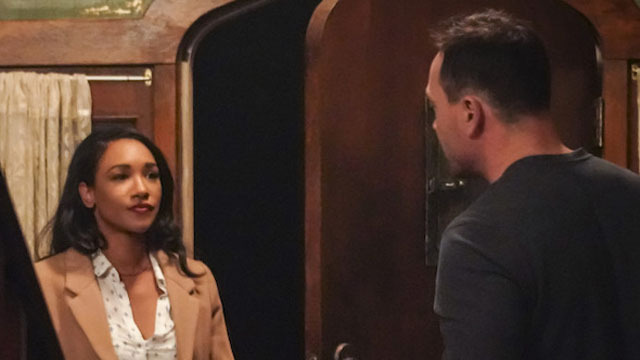 Fortunately, Iris said that she now knows how to get Cicada to accept the metahuman cure. 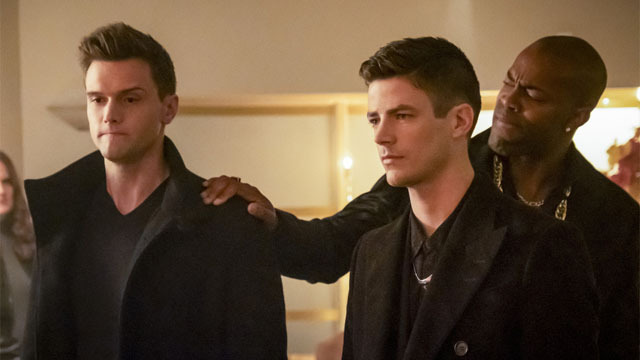 What did you think about The Flash season 5 episode 13? Let us know in the comment section below!